Hunt sea bass, swim with basking sharks and catch your first lobster! Everything is possible along the beautiful coastline of the UK. 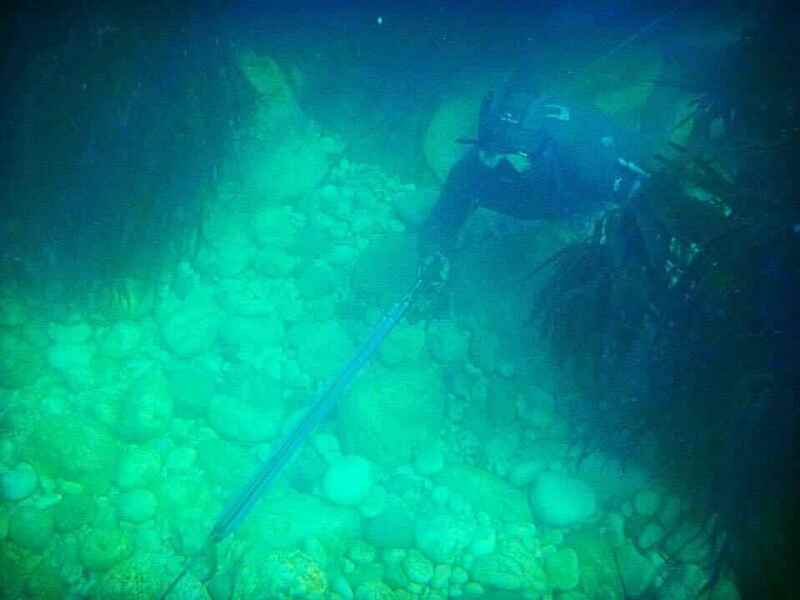 Swim in the UK’s clearest waters and explore this underwater adventure playground first hand, safe with the knowledge you are being looked after and being professional trained to be an effective underwater hunter. In our spearfishing courses we coach everything you need to know from the correct freediving techniques to understanding fish behavior to allow you to hunt each different species proficiently. What’s covered in the speafishing course? Safety – first and foremost its safety, not only for our day together but passing on the knowledge so you can progress safely yourself. Safe weighting for various depths of hunting. Breathing techniques – learn how to relax, control your heart rate to extend your breathe hold. Equalisation methods to dive deeper without ear pain. Duck dive technique to start your descent while conserving as much energy as possible. Correct finning form – be as efficient as you can to maximise your descent while conserving oxygen. Breathing exercises (apnea tables) you can train at home with to greatly improve your bottom time. Blackout risks and understanding your body’s response to diving at depth. Rescue techniques to recover and revive a blacked out diver. Dealing with cramp while at sea. Understanding and practising the above will without a doubt make you a better spear-fisherman and increase your bottom time dramatically, while making you feel more comfortable at the various hunting depths. Spearfishing – Once you have got comfortable with the freediving aspects of the course we progress on to the fun part of finding something for dinner. You will find that spearfishing is incredibly instinctive, each one of us has these instincts ingrained into our DNA through millenniums of evolutionary hunting and survival. We will combine this with experience and knowledge to make you an effective underwater hunter. All aspects of our spearfishing gear and how to use it to its full potential. How to use different guns for different situations. Speargun accuracy and shot placements. How to find our prime targets, their legal minimum sizes and bag limits. Different species behaviour and how we use that knowledge to hunt them. How to use the different types of kelp and underwater terrain to locate different species. Multiple approaches to hunting, body position, profile awareness and stealth techniques. How to safely hunt holes and caves. How to fish in currents and the extra danger that presents (advanced). How to locate lobsters and edible crabs plus their safe removal. Fish dispatching, preparation and cleaning. What type of people take this tuition? Our spearfishing courses seem to be a very popular present idea for the weekend warrior hungry for the next big adventure! But we get loads of surfers searching for some flat day fun, hungry anglers who are fed up of coming home empty handed, as well as people who are just excited by the sport but want someone to show them the ropes before taking up this potentially dangerous adventure. The sport is accessible to all people, from all walks of life with various fitness levels. Like all sports, the fitter you are the easier you may find it. However don’t let a lack of fitness put you off by any means. A key element to spearfishing is using as little effort as possible to conserve energy. This in turn makes it easier to hold your breath while hunting beneath the waves. The days are designed so everyone can learn at their own pace in a safe controlled environment with the support they need. The day is centered around having fun while learning this amazing sport in safe yet professional manner. With private groups we can tailor your time to be as training heavy as you like. We can cram in as much as possible or we can just focus on getting you in the water asap and catching great tasting fish – the choice is yours. While the aim of the course is to prepare students to continue the sport in a safe and confident manner, we achieve the majority of this through the physical application in the water over lengthy classroom based lessons. After the initial briefing we find that physical coaching works best in terms skill progression and an all round fun day. The company is fully insured to lead these courses so rest assure you are being led by a professional organisation that takes your safety very seriously. Most spearo’s try to hunt all year round looking for breaks in the conditions during the winter months. However the warmer weather certainly makes for a more enjoyable first time experience! Our most popular periods are late April to late September with the traditional holiday weeks usually booking up well in advance. We can provide courses all year round no problem, just get in touch to discuss options. How to fight a big fish safely with simulations including line management awareness. Ever wanted to spearfish a 250lb tuna, sailfish and wahoo but don’t know where to start? We can also arrange both the holiday and the instructor to make it happen for you. We can either provide an instructor to a destination of your choice or we can recommend and arrange absolutely everything for you. Contact us now and start planning the trip of a lifetime! We currently offer courses throughout most of Cornwall (from St Austell and across the Lizard) as well as Dorset and the neighbouring areas. Exact locations are chosen close to the course date after we have assessed the conditions. We run courses all week long so if you are interested then the best way to get things started is to get in touch. We tailor the tuition to the skill level and experience of the individuals along side their desired learning outcomes. Be it an experience day just for fun or a focus on specific niche areas like hole hunting or targeting bass. Want to pay for your course now? Click here. 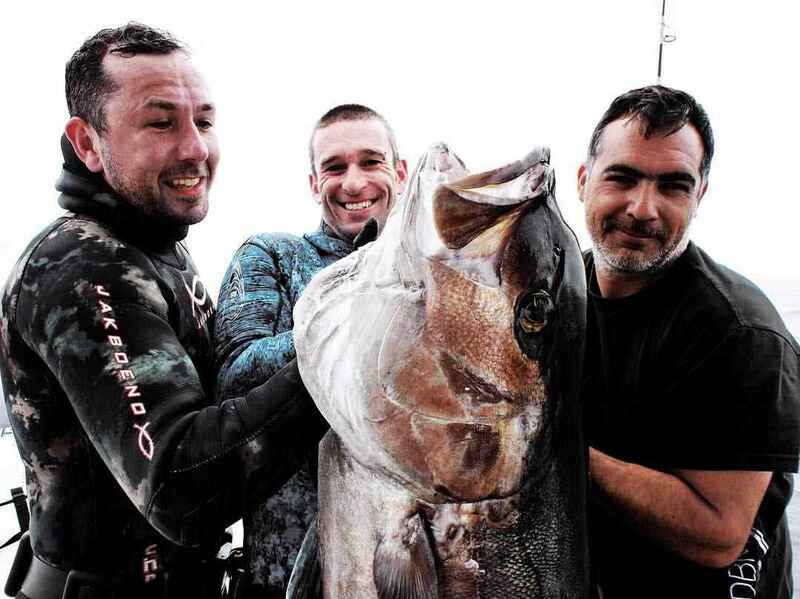 Tony (left) with friends Paulo (centre) and his catch, skipper Pedro (right) taken on Pico Island. Tony has been a spearo for nearly 10 years, getting his first taste for breath hold free diving during his travels around the beautiful coastline of South East Asia and Australia after leaving university. With a passion for sea fishing, it wasn’t long before he bought his first speargun and combined the two. Driven by the endless quest for bigger fish, Tony’s yearning to hunt has taken up most of his resources, be it all his spare time or his money. Fast forward 10 years and he is now a world record holder and leads guided spearfishing holidays around the world to destinations like Ascension Island, the Azores and other remote destination. He has trained people in all types of spearfishing including blue water hunting for the big game. From tuna to wahoo, Tony has hunted many types of fish can show the different stalking techniques for each as well as how to set up the correct float systems for the different types of species. Jay first started spearfishing back in his early teens along the wild Cornish coastline and soon fell in love with the sport. His hedonistic personality has resulted in a personal desire to seek the UKs biggest Bass and Bream. Jay’s spearo nickname is “Manta Ray Jay” and knowing the Cornish coast like the back of his hand has lead him to land many double figured bass. 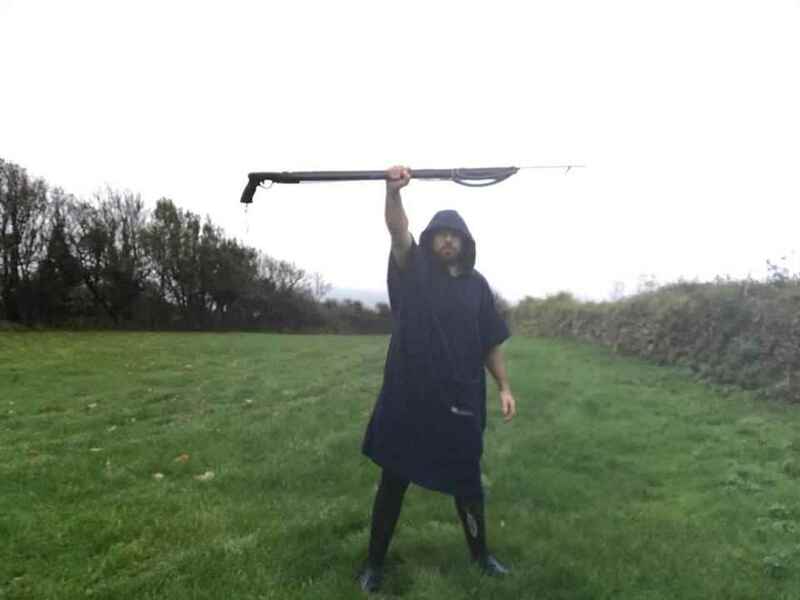 “Hi all, fellow spearos and spearas, I have been spearfishing for most of my life and at an early age I landed a 14lb Bass with an old beat up 75 gun. I am a self-taught spearo and have mainly been soloing along the remote Cornish coast line. Having served in the Royal Marine Commandos, I became involved with Surf Action, a local charity who supports combat veterans using the blue as a form of therapy. 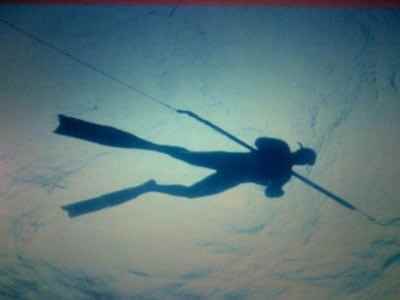 I was involved with the formation of a spearfishing group called Silver Tips which is still active today”. After Jay left the Royal Marine Commandos, this allowed him to up his intensity for the sport and to follow his passion for the blue. Unfortunately due to the intensity he managed to blow his left lung which put him out of action for a while but he soon came back fighting to the sport he loves. “My most memorable story is when I speared 3 Bass in one shot, the biggest being 4lb on a Rob Allen 120 Tuna”. Jay’s main targets are Bass but he is also an expert in Bream and knows the best techniques and places in the UK to find them in the shallows. His main speargun and weapon of choice is a Rob Allen 120 Tuna “I believe there is not a more sturdy nor accurate spear gun out there. I have tried and tested many over the years ”. 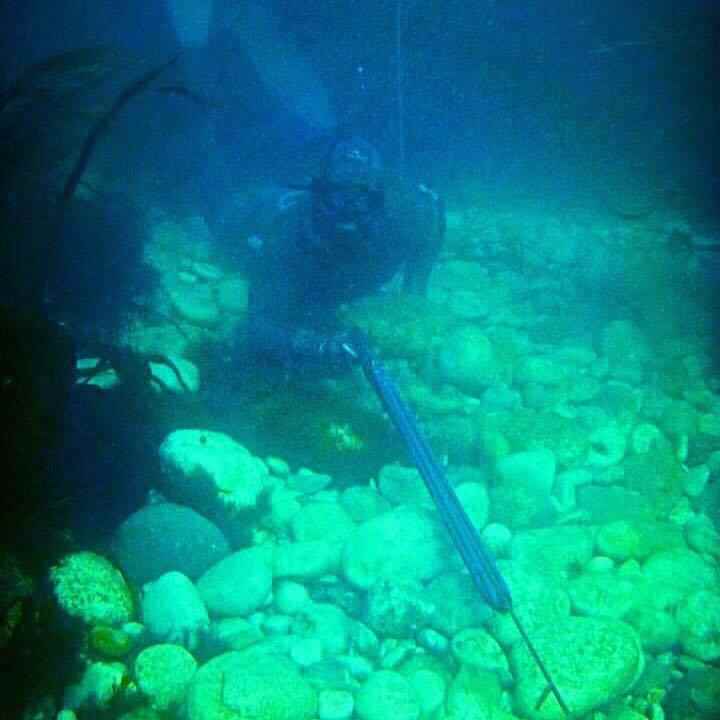 “Can’t wait to meet you all, the spearfishing courses are fantastic for people of all levels and I hope you enjoy the day as much as I do. If you’re new to the sport then you’ll come out a hell of a lot more comfortable and capable than when you went in. Thanks for reading my Bio and hope to see you soon”. Lee is an all-round ‘waterman’ he spent most of his childhood submerged in the salty stuff around the SW coastline of England. He soon picked up a fishing rod and took to dangling for fish in rock pools at the age of 5, by the age of 8 Lee was donning a snorkel and mask admiring the the beauty of the UK coastlines. At the ripe age of 16 Lee followed his passion for the ocean and Joined the royal Navy, Lee also found a passion for surfing. 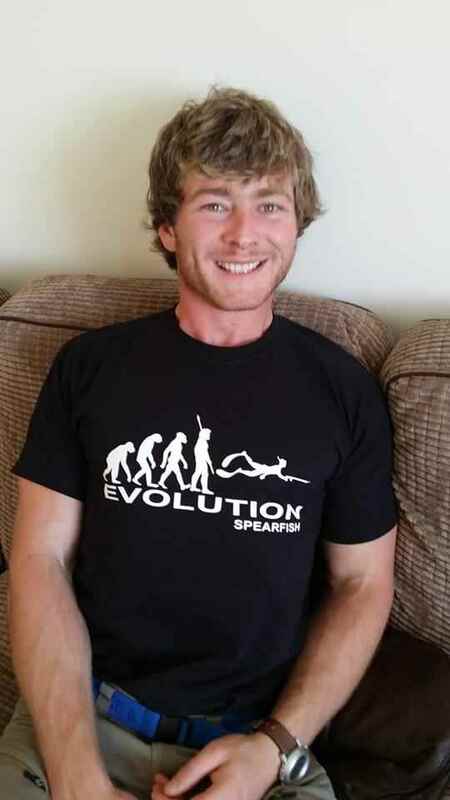 By 19 he had was a very successful angler and surfer, but wanted something more extreme….so soon discovered the world of ‘spearfishing’ and he was well and truly hooked! Lee’s early days would see him spearfishing Teignmouth S Devon in a shorty wetsuit bright yellow mask, onion sack and an old 65cm speargun; even back then he would walk up the beach with an onion sack full pollack and crabs. Now at the Age of 39, lee enjoys the ocean more than ever and spearfishes 3 times a week or more alongside his other passion for mixed martial arts and Judo. Lee is an energetic and enthusiastic person with real a passion for spearfishing, he is somewhat of a ‘shore bass guru’ and thus has numerous double figure fish under his belt.